If Vasco do Gama, Magellan and Henry the Navigator fortified themselves with Port, Portugal’s most famous product, it might have made their journeys less horrific. But Port wasn’t created until the 17th century, and today it’s undergoing a renaissance. This easy-going, southern European country produced navigational giants that dominated the sea routes of the world, and controlled colonies as diverse as Brazil and Angola. And this sought after “liquid ruby” must come from one section and one section only of the land: the upper Douro Valley in the remote, north- east part of Portugal. These are the demarcated Port vineyards of the world for this “Vinho de Vida,” wine of life. The Port Wine Trail begins in Porto, a three and a half hour train ride north from Lisbon and the gateway to the Douro Valley’s prized vineyards. 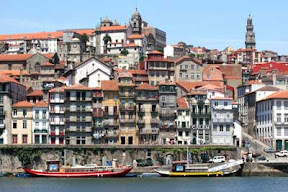 Porto itself is an elegant, old city, rich in Baroque cathedrals, winding, cobblestone streets, twisting alleys and huddled 17th century homes, still inhabited by the original families. At night, Porto is more artfully lighted than Paris. The lighting scheme dramatically illuminates the old cornices and Rococo facades, and in the bright light of day, colorful bits of laundry wave in the breezes from the Douro River. At the various quintas (Port Wine estates) bare-footed groups of men and women crush the grapes in stone vats (lagares) accompanied by Portuguese musicians, and followed by a very happy celebration. Port is wine to which a “grape spirit” has been added to “fortify” it. ?Originally designed to protect the product during it’s long Atlantic sea voyage, the addition of the “grape spirit” also stops the fermentation process, allowing the Port to age without “turning,” resulting in a a full-bodied, rich beverage. • Vintage Port (a premium at the liquor store) is aged in casks for two years, and further ages for between 10 and 50 years in the bottle Thus the price, and the delight. Vintage Port typically must be consumed within 3 days. • Late Bottled Vintage (LBV) “rests” for 4-6 years in casks, is bottled and ready to drink. They don’t improve with age. • Tawnys “rest” or age in casks between 10 and 40 years and are then bottled. However, the year of bottling for an authentic Tawny must be on the label as well as the vintage year. The classic “pairing” for full-bodied Port is cheese: blue cheeses such as Stilton or Roquefort in particular, or with desert at the end of the meal.? 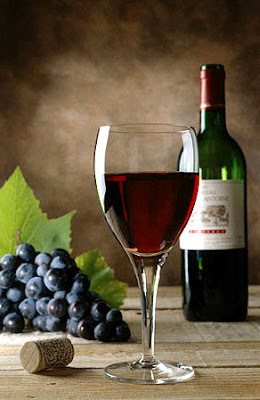 But truthfully, today’s Port aficionados are drinking it anytime and with whatever pleases them.? Saude!